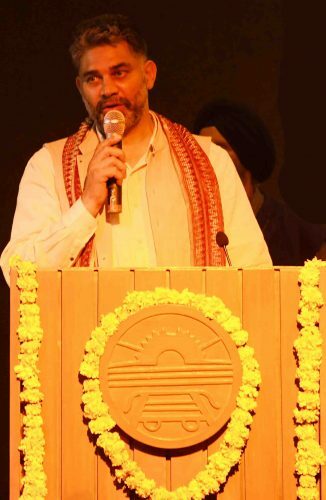 Chandigarh : The Readers and Writers Society of India has launched a book ‘The free voice of love’ consisting a collection of poems by famous poets of Hindi and Urdu of last two decades at Mulk Raj Anand Auditorium, Panjab University. Panjab University family honored the most popular President in the University Council history on becoming the president of the High Court Bar Association. DP Randhawa while congratulating the book launch urged the Literary community to put efforts to save our dying native languages. He said that the mother of our native language Sanskrit language, is very crucial if we want to keep our future generations intact with our legacy, civilization and identity. Then the book was launched by the readers and writers society in presence of their President I. D Singh. 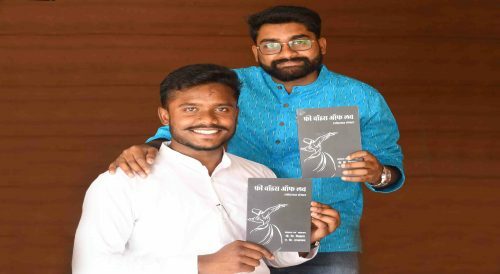 Then both the editors Ashish Kumar and V. K Vishvas said that the motive behind the compilation is to create a bridge for modern generation to meet with feelings, emotions and experiences of the poets of last two century. Then many poets enthralled the artistic audience consisting of hundred of students, professors and poem lovers by their magical words. Then I.D Singh along with members of RWS told the audience regarding the role of this form of literature,i.e. poem in touching the hearts of the people very effectively. Then papers were read by many academicians and scholars. In the program SVC Prof Devinder Singh and DSW emanuel nahar mark their presence.